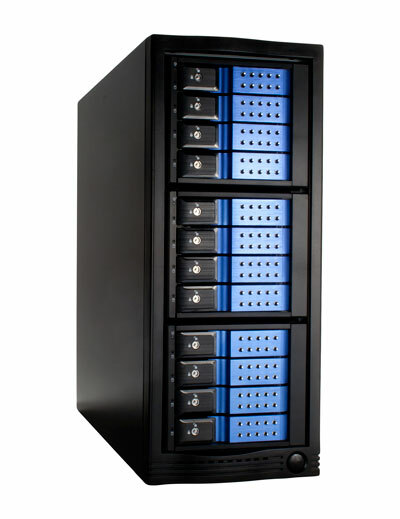 12 SAS or SATA drives in one box using only a single cable SFF-8088 miniSAS connection with SAS reliability and performance. 2400MB/sec bandwidth. Trayless design allows easy installation and effortless hot-swapping. Reliable 500W whisper quiet power supply. Ideal desktop direct-attached mass-storage solution. Can be used with 2.5" drives using 2.5" to 3.5" Converters.